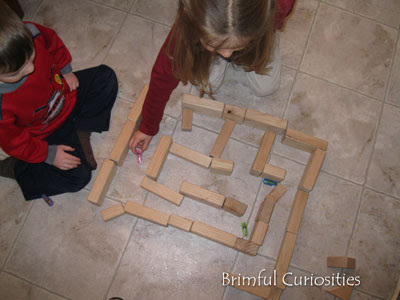 The kids enjoyed playing with their HEXBUG Nano bunny robots over Easter and made a fun maze out of wooden blocks. Love those bugs! Find more of this week's Wordless Wednesday (or Wordful) posts at 5 Minutes for Mom. Thanks to MomSelect we invited our friends over for a HEXBUG Nano Easter Egg Party last week and each child received an Nano Easter egg. what fun games.. love that they can make what they want.. Happy Wednesday..
That's a great idea! We have a Hexbug too! I never thought about making a maze for it! Fun! A few years ago, my husband made one of those bristle bots with a toothbrush head and some supplies from the hardware store. It only cost a few cents. LOL! Cute! Love those bunny ears on the Hex bugs! 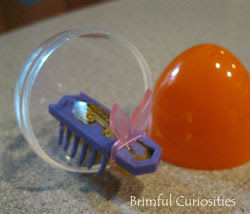 My boys have the Hexbug Nano bunnies and enjoy playing with them. I like the maze idea. Looks like fun! I wonder if my nieces know about hexbugs?